Tesla has been teasing the Model Y crossover for more than a year. During the latest quarterly earnings call, Tesla CEO Elon Musk shared the Model Y production plan with investors. Not much is known about the vehicle itself at this point, except that it would be an SUV crossover and would be based on the Model 3 platform. Its pricing is expected to start at around $40,000 for the base model. Musk told investors that the Model Y volume production would start towards the end of 2020. He teased last year that the vehicle prototype could be unveiled in mid-March 2019. The 2020 production plan looks aggressive at first glance, but it’s possible because the Model Y crossover would share about 75% of its parts with the mass-market Model 3 car. Tesla is not going to manufacture Model Y at the existing Fremont facility in California, which is running to full capacity to meet consumer demand for the Model 3, Model S, and Model X vehicles. The SUV crossover will get its own production line at the Gigafactory in Nevada. Tesla will start tooling for the Model Y later this year to ensure volume production by the end of 2020. Considering the Model Y crossover would share 75% of its parts with Model 3, the cost of the new production line “should be substantially lower than the Model 3 line in Fremont.” Production in low volumes could start earlier in 2020. However, the Tesla CEO cautioned that the plans could change if it encounters any major obstacles. According to past reports, the Model Y would have a central console riser, an IP riser, and a third row of seats in the back. It is said to be bigger than Model 3, making the third row of seats possible. Elon Musk is bullish on the Model Y, especially as the midsize SUV market continues to grow in the US. He predicts the Model Y crossover volume could be up to 50% higher than Model 3. The EV maker delivered 140,000 Model 3 units in 2018. During the earnings call, Tesla President Jerome Guillen said the company was also planning to start production of the Tesla Semi truck next year. The EV maker is currently testing the truck on public roads, and has already received a few hundred pre-orders. The Semi is expected to cost between $150,000 and $180,000. When the Semi production starts, Tesla will use the first trucks for its own logistics before opening deliveries to customers. Elon Musk said the Semi truck would be “something quite unique, unlike anything else.” It would bring several new features. 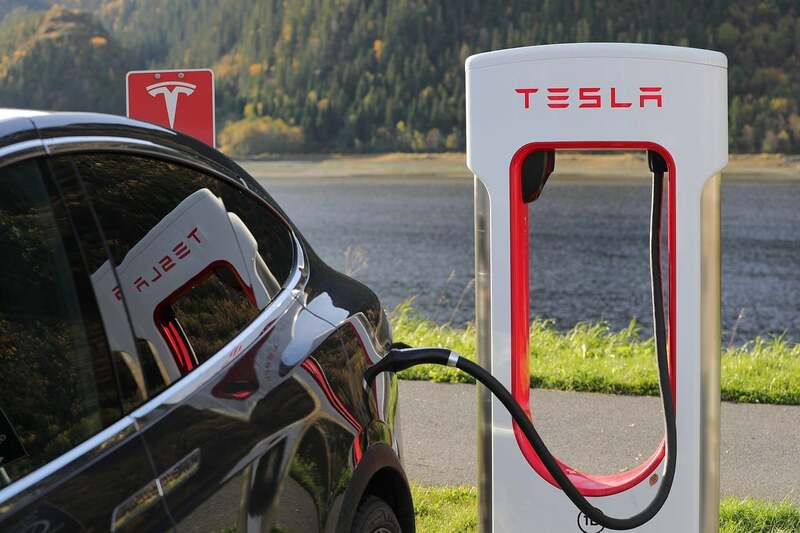 The company would continue to develop its main projects including the Model Y, the China Gigafactory, and the Semi truck while further expanding the Supercharger network. Tesla recently laid off some of the Model S and Model X staff and discontinued the cheapest versions of these vehicles. Tesla told investors that it manufactured more than 253,000 vehicles in 2018 and delivered 245,000 cars to customers. The Model 3 alone accounted for 140,000 of those deliveries. Even though Tesla has significantly ramped up its production, the output is still only half of its original target of 500,000 per year by 2018. Tesla went through months of “production hell” and “logistics hell” to boost Model 3 production last year. It had to set up makeshift tents in the parking lot of the Fremont facility to make vehicles. Musk said the EV maker aims to deliver 360,000 to 400,000 vehicles in 2019. Even though Tesla missed Wall Street projections for the fourth quarter of 2018, the company reported back to back quarterly profits for the first time in its history. It commands an envious 83% share of the US electric vehicle market. For the fourth quarter of 2018, Tesla posted profits of $139 million with revenue of $7.2 billion, the highest ever for the company. Revenues for the full year stood at $21.4 billion with a loss of $1 billion. The company ended 2018 with $3.7 billion cash. Musk announced that chief financial officer Deepak Ahuja would leave Tesla in a few months. Ahuja said during the call that 2018 was the “most pivotal year” in the history of Tesla and it was the right time for him to make the change. He will be replaced by Zach Kirkhorn, who currently serves as the VP of finance at Tesla.